I'm sure by now that you have seen on Facebook and Twitter that I am hosting an upcoming event, A FabEllis Soiree, but it just wouldn't be right unless I announced it formally. 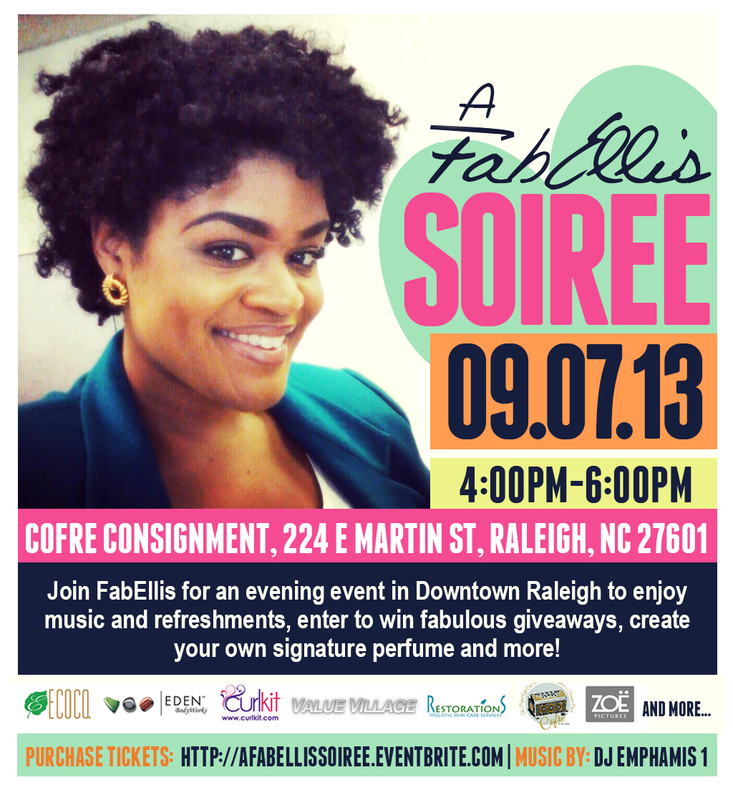 I'm excited to be hosting this soiree in Downtown Raleigh on September 7th from 4-6 p.m. at Cofre Consignment. This event will include music, refreshments, product samples, perfume making and more! Plus, the best part is that 100% of ticket sales go to helping me attend Blogalicious in Atlanta! Advance tickets are just $10. To purchase a ticket, click here. Good luck! I'm all the way in NY, wish I could come.